Diversity – part 3 – what are you missing out on? nearly three-quarters of a million people are Indigenous. 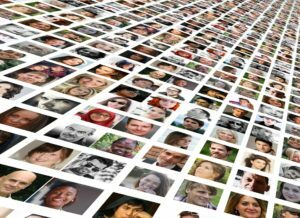 In February this year, the Australian Human Rights Commission and Deloitte released Missing Out: The business case for customer diversity. these customers were twice as likely to dissuade others from engaging with an organisation that they thought had a negative attitude to diversity. that proportion was significantly higher for customers identifying as lesbian, gay or bisexual (49%), practicing a noticeable faith (46%) or with a disability (41%). These figures show the scale of the issue. If businesses ignore the real make-up of Australian society, and take an artificially narrow view of their customer and stakeholder base, they are ignoring a very large number of customers and stakeholders. It seems to us to be a high-risk strategy: giving millions of people a reason to move their business from you to your competitor. How can organisations expect their customers to buy what they are selling, when they are not making an effort to say, mean and show that they understand their customer base? How much does a narrow focus cost businesses in Australia? What is your business missing out on?